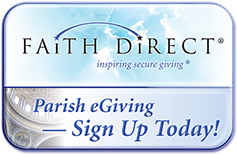 Faith Direct is the innovative solution that allows you to support Blessed Savior Parish. 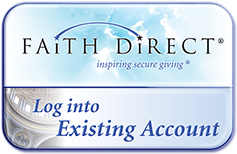 Faith Direct is a secure system that works directly with your bank account or credit/debit card. It operates much the same way you may have set up for paying other monthly bills or payments. There is no cost to you to participate in this program. Hey ... do you shop on Amazon? Did you know that the Amazon Smile program will provide a rebate of your purchase (at no additional cost to you) to Blessed Savior? Check out the program on Amazon, it's one more way to support your parish! Please see the attach flyer for more information. The Red Robin Royalty program offers a BURGERS FOR BETTER SCHOOLS program. By picking Blessed Savior School 1% of what you spend at Red Robin© will be donated throughout the year. Please see the Red Robin webpage for more information.